Automotive authority US News and World Report adds the 2016 Dodge Challenger in its Top 3 of the best muscle cars in the country to date. There are tons of features for you to love in this exciting ride, and it will surely keep you and your passengers thrilled with every drive. This stylish vehicle keeps its reputation as a head turner, maintaining many of the classic design elements that fans have come to love. 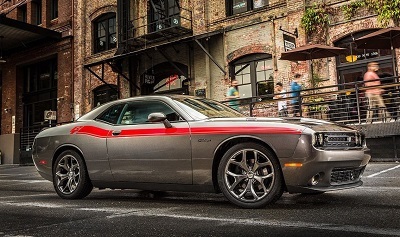 This year’s newest version of the Dodge Challenger struts with a longer hood and an improved air-intake. Whatever your flair for styling, there are 12 wheel designs you can choose from. Plus, interesting and bold color choices are available such as Go Mango and Plum Crazy. Head on over to VivaChryslerDodgeJeep.com blog page to know more. Posted on December 13, 2016 by CedrickPosted in BusinessTagged 2016, challenger, dodge, paso, promises.